MPACT has over 150 assessment tools available to evaluate a student’s capabilities before deciding which of our four levels of training is appropriate. We recommend utilizing specific, industry-developed tests to determine the levels for each individual. This enables us to recommend the proper courses to close the “skills gaps” and establish a baseline for all current and future employees. 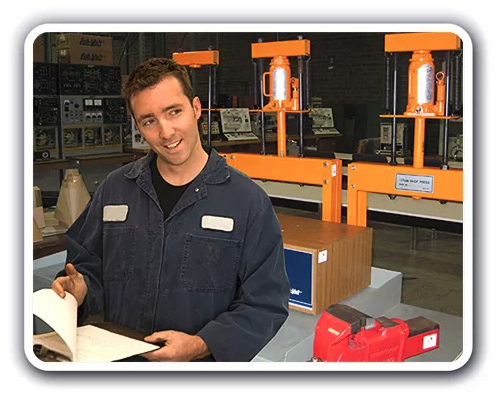 Our core curriculum includes beginner to advanced courses in mechanics, electronics, hydraulics, systematic troubleshooting, precision methodology and maintenance management and planning. Through strategic partnerships we also offer courses in air conditioning and refrigeration, building and ground maintenance, energy conservation, machine shop and tool practices, welding, process controls, waste water treatment and OSHA safety related to crane, hoisting and rigging certification. We have developed working relationships with various local and state agencies and organizations and are able to coordinate efforts, on our client’s behalf, to assess resources (facilities, funding, etc.) to enhance the training efforts. The network of workforce development boards and community colleges is a valuable resource in enhancing and extending our training programs.